Having celebrated Christmas you can see the other side of this holiday by installing the Evil Christmas addon. If Santa was very kind and generous, encouraged the children and gave a good mood, then now he will become your main enemy, and his assistants will pursue you everywhere. What will you do? You can choose any two options: to escape and save your life or fight to victory. There is a special anti Santa weapon that can scare this bearded old man. But take into account the fact that Santa himself never works alone, little elves help him in every matter and even a fight will not stop them. How to do without Christmas gifts? Quickly unpack them and see what's inside. Almost always you will find very useful things that do not require ingredients. 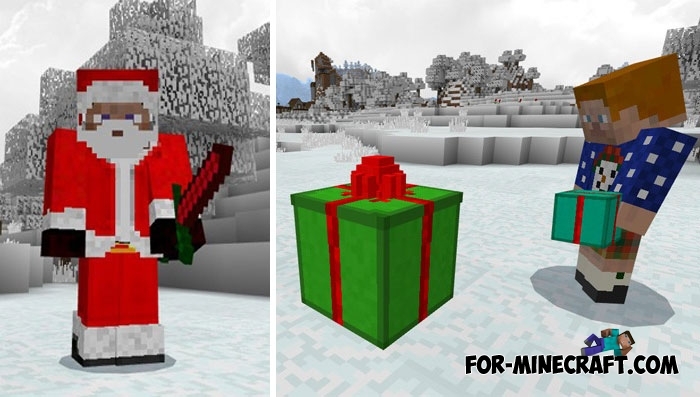 To look at Santa and ultimately fight with him, you need to build a sculpture of an iron golem. Well, then you understand what will happen. 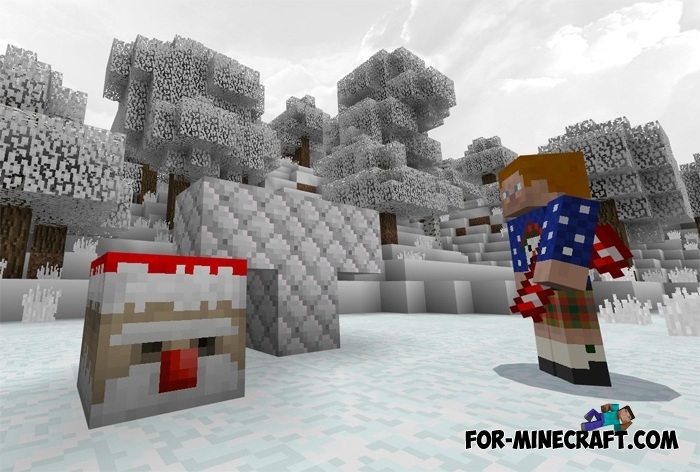 How to install the Evil Christmas addon?